I pulled the trigger on a Yaesu FT-2900R. It is a 2m-only mobile radio with 75W of power. I choose it because the chassis is a big heat sink, no fan to break. The antenna is a Hustler G6-144B, about 10' in length. I bought two 10ft. steel fence posts today for a total of 20ft. off the ground. 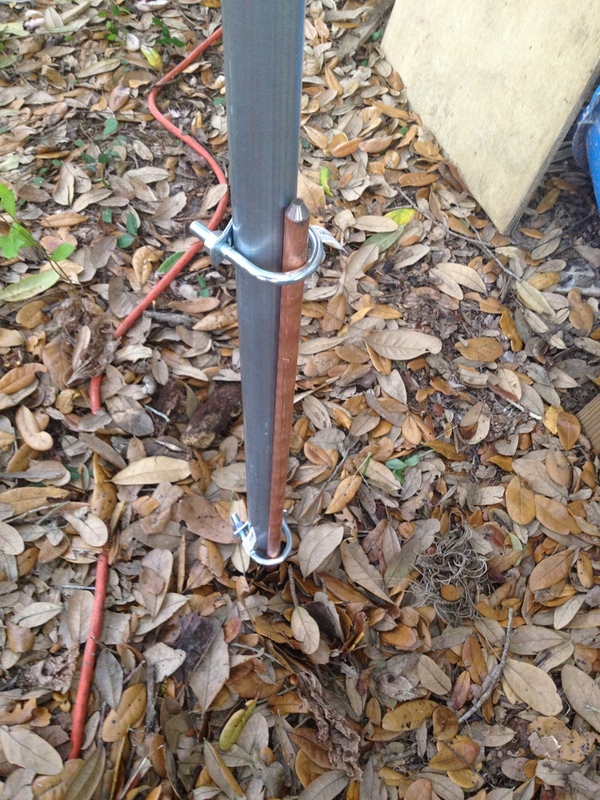 The mast will be clamped to an eight-foot copper-clad steel rod burried six feet in the ground. I would have put it up tonight hadn't it been for the lack of a long-enough ladder and the mosquitoes.. Yeah, I'm a wimp when it comes to these critters. 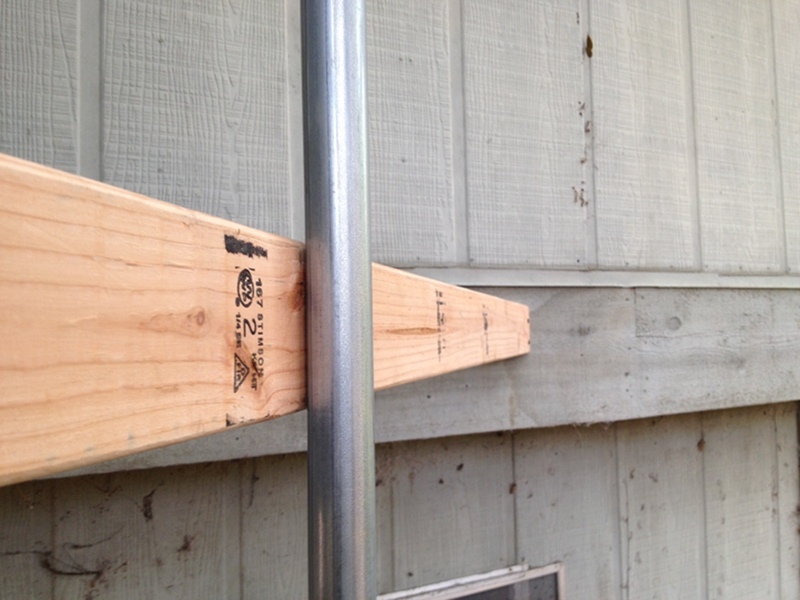 An L-brace will keep the mast one foot from the wall. I'll post photos. I also have a 5/8" barrel plug to go through the wall, but my drill bit is too wide for my drill.. The reason for this is that pretty much all my equipment is for HF CW. I only have HTs for local stuff, and with repeaters down, I would be limited to a few miles. With the FT-2900R's 75W and the claimed 6dBd of the Hustler up twenty feet, I should get a pretty good radius. The Yaesu was $140 (with $40.00 mail-in rebate) and the antenna $130. Add about $80 in mast, mounting hardware and stuff, you get to $350. Not bad for a ready-to-use station. I don't spend much time on 2m, mostly listening. My interest is for preparedness. I will need to set-up a battery backup system. It would be interesting to see how far I can get from an HT with that antenna on the roof. Solar panels would be a problem here with all the trees around the house. Tonight I borrowed a tall ladder and put it in place for tomorrow. I'll have a helper for safety. Stay tuned for photos of the installation! ........It would be interesting to see how far I can get from an HT with that antenna on the roof. I have a feeling you'll be very pleasantly surprised with those results, I used an old HT as a base in my shack for many years back when I was heavily using VHF FM. It was hooked up to a Ringo Ranger II at 30 feet and very seldom was it's power limitation a factor. At VHF/UHF, height is everything above all else. .... height is everything above all else. The red thing you see there is a very dangerous Florida snake that tried to kill me. I got him with a hand chop behind the head (which was right next to my bare big toe when I took the photo so you can't see it). Top brace near the roof line. You can see a little bit inside the house too. A little bit more to the left and you would have seen my big red magnetic loop hanging from a roof beam. Middle brace. 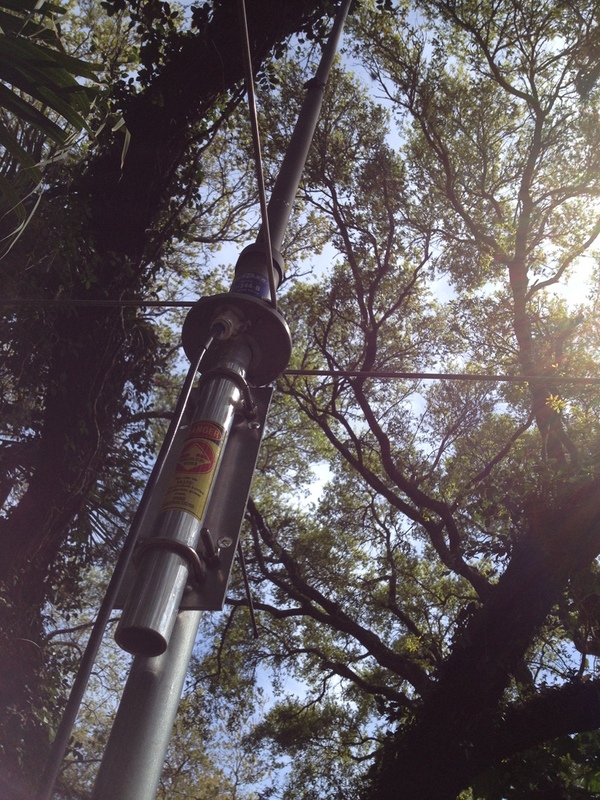 I later lashed the mast to the 2x4 with nylon line. It's a very old house and the owner doesn't care one bit about it. The layout is awesome though, and it's like living in a tree house. This style of photography is called "Contre Jour," French for "pretend you underexposed on purpose to sound cool." The antenna is painted flat olive green.. Hehehe. The 18ft. LMR-400 patch cable I got from Gigaparts was defective (no continuity on center), so I used a 15ft. RG-8(R? can't remember..) instead. I need to exchange it... For the connection to the outside, I drilled a 5/8" hole through my wall and put in a female barrel plug. The outside was burried in sillicone. I did the same for my PAR end-fed connection, which until then used an RG-174 cable smashed through the window frame (two right-angle bends). Now it's much nicer. I will report again when I get the FT-2900R (on it's way) and review it. That's gonna be an awesome 2 meter antenna! I don't think you'll have any problem getting some distance out of it especially for the local repeaters. Nice. I already had no trouble with my HT and a rat tail, inside the house, so it should work great now. To anyone in the area, I will be listening to the N4SER (net on Wed. night 7pm) and Verna (NI4CE) repeaters. I'm thinking of doing something similar - I want to put up a VHF/UHF antenna but I've got HOA restrictions so I need to "tone it down" a little". I was looking at a Comet GP-1 because of the smaller footprint. The steel fence posts look like a good idea if I even use a mast. 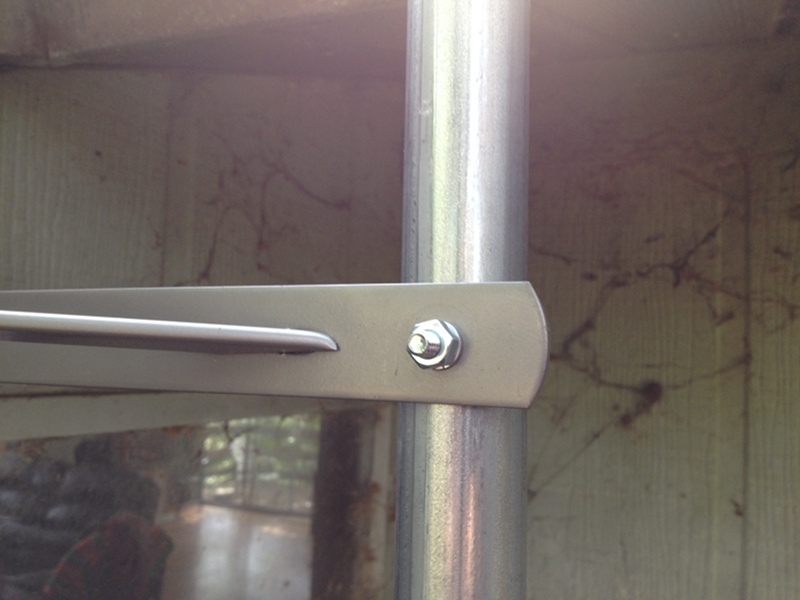 I was thinking about mounting it of the eave edge on the back of the garage so that might be an option for support. Thanks for the ideas! BTW, see my thread in New to Radio/ W1AW. I've got a question for ya. If you've got HOA worries, don't forget that you can paint antennas. A little urban cammo may do the trick. Absolutely, I always paint mines. You could paint that steel mast the same color as your wall.. Even if the antenna doesn't have a background, paint it light blue! so where's the rest of the review?? i'm thinking on either a 1900 or 2900 with the current yaesu rebates and coupon at hamcity. i have a 15 ft pole already that would pair nice with an antenna and radio. Well, I sold the FT-2900R.. I just wasn't using it. It worked exceedingly well with that antenna though. I used it on the lowest power setting. I turned it on maybe once every other week, so it was just taking up space.. I can reach local repeaters with no problem using an HT, even inside the house. If I want more range I have an adapter to connect them to the Hustler. The only thing I did was check-in the local emergency radio club net. Let's face it, conversations on 2m are not that interesting.. Here at least. Even when I take my HT on road trip, I usually hear absolutely nothing, especially on simplex. It makes me wonder if VHF is that useful for emergencies.. You do have to know the repeaters along the way. Repeaters down? You're SOOL. HF mobile would be much better. Though I couldn't do Morse while driving, SSB would work fine. Get a flexible base loaded whip on the back of the car, with the tip attached to the front bumper, and you get a nice NVIS antenna. An FT-857D would be my choice.. I have a flea market FT-2600. It's the granddaddy to the FT-2900. It's dented with scratches and rust and still works flawlessly. Great line of radios. Gil, if I had a nice pole up high like that I think I would also mount a discone antenna for the scanner I never use (because I don't have a good antenna). I'm not much of a scanner guy, but if things got exciting I'm thinking I'd be glued to the fire and police channels. That pretty well matches my feelings towards VHF FM activity as well. For many years I was active there, but I'd guess I haven't transmitted a phone signal on any amateur band in over two years. I sold almost all the VHF equipment I owned but I still have a Radio Shack 2M handheld and a pair of IC-2100's stashed somewhere here in my shack. I've considered selling them also but they don't really owe me anything as they've been paid for for years, and who knows, they may come in handy some day.